Alarmed? Based on these numbers it's safe to assume that Vitamin D deficiency is common among runners and indirectly impacting performance. This doesn't mean you'll run faster just by popping a Vitamin D pill, however according to this Runners Connect article Vitamin D is involved in calcium absorption, muscle contraction, nerve stimulation, support of a healthy immune system, and inhibiting inflammatory response in individuals with asthma or allergies. If you're serious about running fast or considering a supplement, get a 25-hydroxy vitamin D blood test. While level of exercise, body weight, muscle mass, and age are factors that influence the amount of protein required for optimal recovery and performance, leading expert on the subject Professor Luc Van Loon provides the athlete with some simplified, straight foward advice- take in 20-25 grams (approx. 3 oz of meat, chicken, or fish) with every meal (3 x daily) including a timed post run meal. In addition, Dr. Van Loon recommends a bedtime dose of protein to ensure optimal protein synthesis during sleep. The American Dietetic Association recommendation calls for up to 2 grams of protein /kg body weight per day (that's an upper limit of .9 gms per pound or 112 gms for a skinny 125 pound runner!) That should be a wake up call for any athlete striving for optimal running performance.
. Thanks to Nestle Nutrition Institute for posting! Dr. Stuart McGill is a leading authority on back pain treatment, rehabilitation, and prevention. According to Dr. McGill, athletes need a non-flexible core in order to control excessive movement. He also believes core and back muscle endurance is more important than strength. Check out one of his recommended exercises called Stir the Pot! Thanks to Dr. Brian Abelson of Kinetic Health for posting! "Do 80% of your running at low intensity, and the remaining 20% at moderate to high intensity. The rest is details." -Robert Johnson, co-founder letsrun.com who wrote the forward to Matt Fitzgerald's popular 80/20 Running book. Run stronger and race faster by TRAINING SLOWER! Watch Dr. Seiler's presentation that discusses some of his research behind those details. 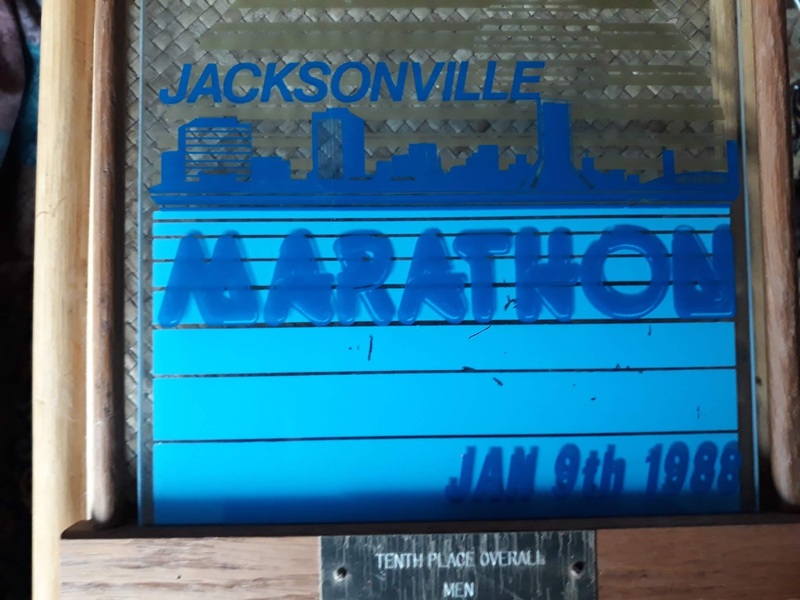 Congratulations to 70 year old Gene Dykes for setting a new age group world record at Jacksonville this weekend. Even more amazing is he ran a 50K 2 weeks earlier! I placed 10th at Jacksonville in 1988. "consciously focusing on the running movement moves runners away from their optimised running pattern and leads to detriments in economy" -Thinking about your running movement makes you less efficient: attentional focus effects on running economy and kinematics, Journal of Sports Sciences, Oct 2018. Interesting study. Perhaps, as this article suggests (5 PROVEN WAYS TO IMPROVE RUNNING ECONOMY) your form will improve over time if you increase stride rate, increase mileage, lose excess body weight, add supplemental strength training, and plyometrics.